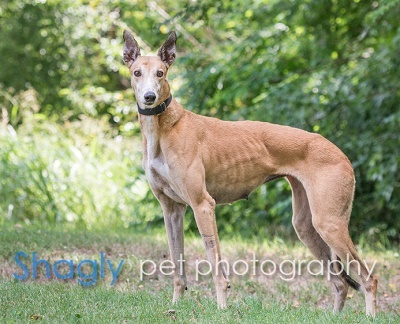 Tippy, aka Trip Home, is a 7.5 year old dark fawn female born November 18, 2008. Her sire is Flying Penske and her dam is Kiowa Greg Beth. 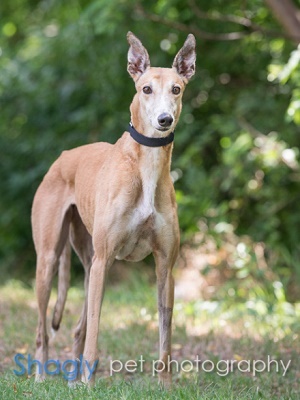 Tippy had a career of 73 races according to Greyhound-data.com, and then went on to whelp 20 puppies in three litters from 2012 to 2016. 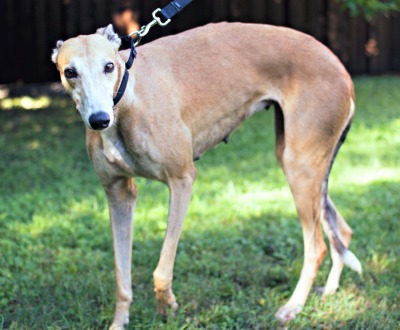 This grand girl is ready to take a trip home with a forever family! Tippy has not yet been tested with cats or other small animals.